CaveSim was brought to McCallum HS for students in the Science deaprtment, the week of the 25 February 2019. Our goal was that there would be no cost to the students. 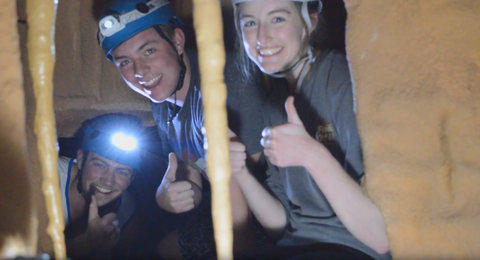 They were able to experience being in a cave and learning about the science and career connections. We still need additional funds to help with the cost. Thank you, in advance, for helping to bring science to life. Science is something that is best learned through hands-on experiences and exposure to individuals that work in actual science-related fields. 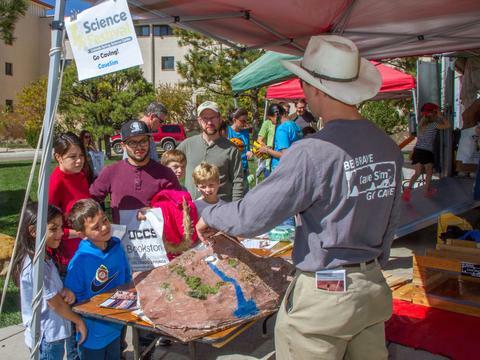 We have the go-ahead to bring Dave Jackson and his CaveSim trailer to McCallum, as a way to have our Science students and Life Skills students experience some "science-in-the-field." Besides the Caving experience, students will have mini-lessons over applications of concepts from physics, chemistry, geology, biology, and environmental science. Our goal is to bring this experience to our students, at no cost to them. We are also helping to support our Video students by sharing the funds. They will be filming the event and creating an AR/VR video. Any donations above the cost of the CaveSim will be shared with this group. We are asking for the generosity of our community to help us raise the money for this opportunity. If you represent a corporate entity that would like to sponsor some or all of this, or you wish to donate directly to the event at McCallum High School, please contact me, at elaine.bohls-graham@austinisd.org. We thank you, in advance, for visiting our site and for helping bring science to life! We appreciate the support for our students! Thank you!